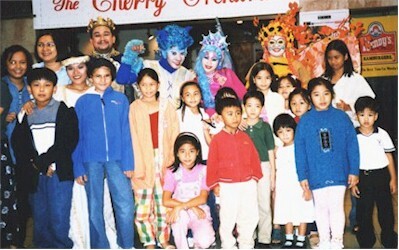 "SLEEPING BEAUTY" by Repertory Philippines, Sep 99. By popular demand, our classmate Doris Teruel-Lou is now accepting orders for her famous cakes and pastries. Pls call her at 850-6040. SPECIALTY LIST! Very special lollipops individually designed and made by Becca Artadi HS76's daughter, Selin. P5-10 each. Please call 433-8846 or 426-4959 to order. Yum! 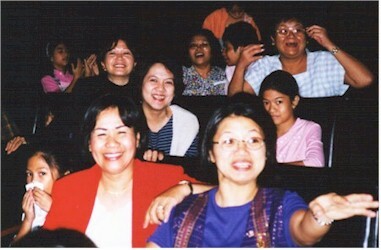 Pilita Pantaleon '74, Sarita Jovellanos '80, and Susan and Agnes Dizon. The families of Lia Jovellanos, Marisa Martinez and Alice Dizon.also attended. Other classmates who bought tickets include Laurie Manalo, Tita Jane Concepcion, Mariette Co, Pita Revilla, Yeyette Hernandez, Dettie Tesoro, Girlie Bernardo, Cris Alvina, and Mina Florentino. A success -- read all about it! Saint Paul College of Manila High School Class of 1975 Foundation, Inc. (c)1999-2000. All rights reserved. 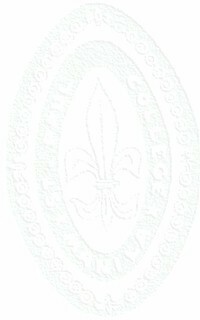 Send feedback to SPCM High School '75 Webkeeper. Left: Sons and daughters of Paulinians...beautiful young people! 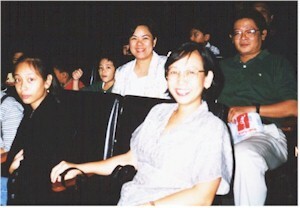 Above: Behind Tawie and her daughter are Malen & Allan Cueva and family. 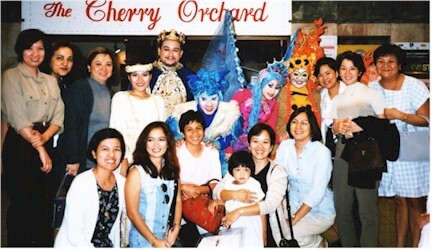 Above: Ms Valera, Myrna, Ludgie and daughter, Rocky, Dolly's daughter, Tejie, Dolly, Beth R.
Right -- back: Albina D, Bina M, Malu S, Malen H, Zamby, Beth. Front: Gina P, Mae, Dolly, Sunny, Dada. 11 PM Mondays, GMA-7 Manila. Produced and directed by our own Yambi Yambao. Rated #1 -- investigative reporting at its best!